The conference on Translation, Culture and Cognition aims at bringing together the venerable tradition of Translation Studies and more recent findings from the cognitive sciences for reflecting the concept of translation in its historical, linguistic, cultural and cognitive dimensions. 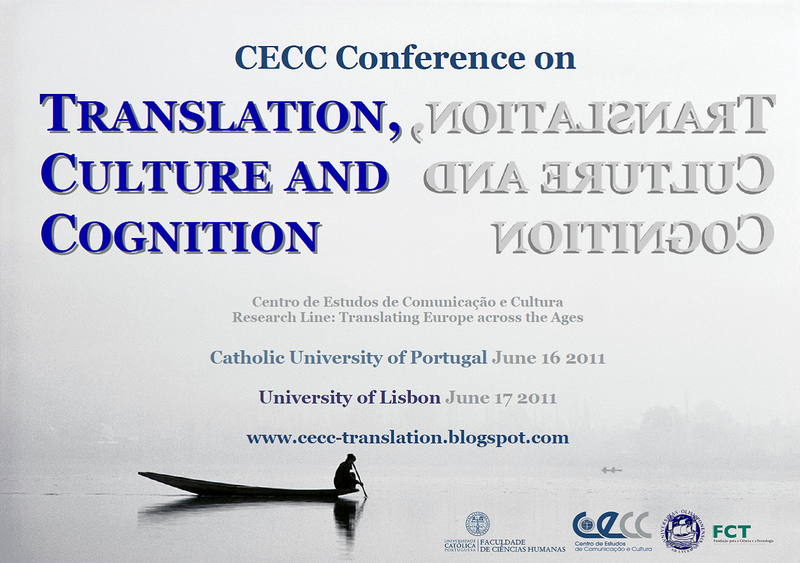 These various understandings of translation underlie CECC’s research line Translating Europe Across the Ages and the various research foci and subprojects that are currently being developed by the research team. In this sense, this conference provides an occasion to reflect about these various readings of the concept – as a linguistic process, as cultural mediation, in its cognitive dimension – so as to identify the essential features that significantly hold them together into an integrated holistic view of translation. The conference is organized by the research line Translating Europe Across the Ages and it will be hosted by the Catholic University of Portugal (June 16) and by Lisbon University (June 17). Para ler os abstracts, clique nos títulos.